Search For Missing Flight MH370 Suspended After Almost 3 Years : The Two-Way In March 2014, the flight vanished from radar with 239 people on board. Search crews have examined more than 45,000 square miles of the Indian Ocean, to no avail. A waiter walks past a mural of Flight MH370 in Shah Alam outside Kuala Lumpur, Malaysia, in February 2016. The flight disappeared nearly three years ago with 239 people on board, and the search for the plane has now been suspended. The search for the missing Malaysia Airlines Flight 370 has been suspended after nearly three years of fruitless work. The airplane vanished from radar on March 8, 2014, with 239 people on board. Since then, nothing has been seen of the plane except for pieces of debris that floated far from the original focus. International search crews have examined more than 45,000 square miles of the Indian Ocean, where experts initially concluded the plane was most likely to be located, to no avail. Listeners To NPR: Why Don't We Track Planes Like We Do Ships? The search was suspended Tuesday, NPR's Anthony Kuhn reports. "The transportation ministers of Malaysia, China and Australia issued a joint statement, saying that despite their best efforts, the search had come up empty," Anthony says. "They added that their decision to suspend the search was not made lightly, or without sadness." The search had been "painstaking," The Associated Press reports, with large ships dragging small vessels equipped with sonar through the ocean just above the seabed, and unmanned submarines examining any areas of interest detected by sonar. But more recent analysis suggested that the plane might never have been in the search area at all. A report suggested it may have been located slightly north — in a 10,000-square-mile section of ocean that hasn't been searched yet. But the governments organizing and funding the search decided that information wasn't specific enough to justify expanding the search zone, NPR's Geoff Brumfiel reports. "It's hard for victims' families to accept that the authorities will not enlarge the search to the north, and that their loved ones may never be found," Anthony says. Voice370, which represents the family members of the flight's passengers and crew, issued a statement saying the group was "dismayed" by the decision. "Commercial planes cannot just be allowed to disappear without a trace," the group said. "Stopping at this stage is nothing short of irresponsible." The search has been suspended unless "new evidence emerges" that points to the plane's precise location — something beyond the capabilities of current technology, the AP writes. "Fragmentary evidence from military radars and "pings" from the plane's own satellite communications system suggested that the Boeing 777 executed a series of turns that eventually led it to the southern reaches of the Indian Ocean. Authorities believe it crashed somewhere along a long arc of ocean, after exhausting its fuel supplies. "In July 2015, a fragment of the plane washed up on the shores of La Réunion, a small island off the African coast. Since that time, more than 20 other pieces of debris have been recovered along beaches in places like Madagascar, Mauritius, Tanzania and South Africa. It has never been clear why the plane crashed in the first place. 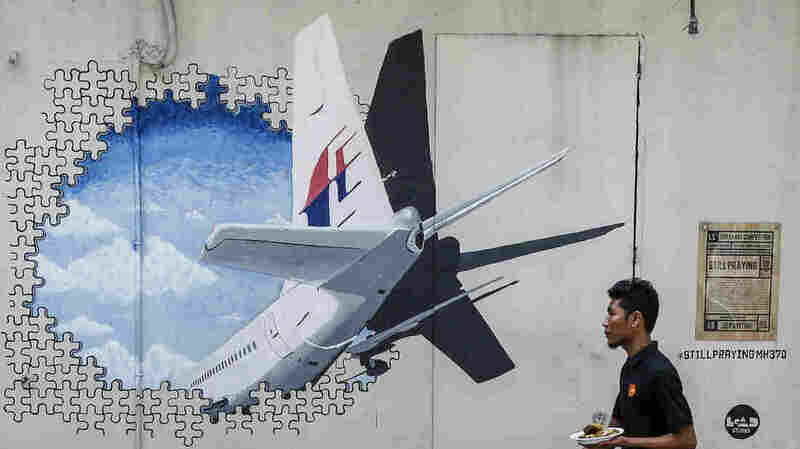 "If the plane is never found, the reasons for its disappearance and crash will probably never be known," the AP writes, "though Malaysia has said the plane's erratic movements after takeoff were consistent with deliberate actions."